On March 10, the Texas State Securities Board (TSSB) issued an Emergency Cease and Desist Order against Balanced Energy LLC, a Southlake, Texas-based oil and gas exploration company. The company claims to be the first in the oil and gas industry to accept Bitcoin from investors rather than cash. A copy of the TSSB press release is available here. Based on a review of the Cease and Desist Order available here, it appears the TSSB objected to the company's unregistered sales of securities to unaccredited investors and the lack of adequate disclosure of, among other things, the risks of using Bitcoin as a currency. Putting aside those objections for the purposes of this blog, it will be interesting to see if other oil and gas companies or other companies seeking to raise capital will consider accepting investments in Bitcoin. Bitcoin is a virtual, digital currency that allows users to send money over the Internet without using a credit card or bank account. Privacy hawks and anti-government zealots love that Bitcoin is a money supply free from government regulation. On the other hand, the unregulated nature of Bitcoin has contributed to its reputation for having highly volatile pricing. Regardless of whether or not Bitcoin takes off as an investment currency, the TSSB's Cease and Desist Order is a reminder to all companies issuing securities of the timeless requirements of US securities laws: Every issuance of securities, such as working interests in oil and gas wells, (whether for Bitcoin, US dollars or any other currency) must be registered with the SEC and applicable state securities regulators or must be made in compliance with an applicable exemption from those registration requirements. Few, if any, know as much about Texas limited liability company law as Professor Elizabeth S. Miller of Baylor University Law School. Professor Miller published a terrific article titled "Practical Pitfalls in Drafting Texas Limited Liability Company Agreements" in the Fall 2012 Texas Journal of Business Law. It should be required reading for anyone drafting company agreements for Texas LLCs. I could not find the article cited online, but a substantially similar article is available on Baylor's website here. For example, Professor Miller notes in the article that the default rule under Texas LLC law is that a majority vote of the members of an LLC by number (rather than by percentage interest) is required to take many extraordinary company actions, such as approving a merger or other fundamental business transaction (See Sections 101.354 and 101.356(c) of the Texas Business Organizations Code ("TBOC")). That might come as a major shock to a member of an LLC holding say, 90% of the percentage interest, along with five other members whole collectively hold the remaining 10% of the percentage interests of the LLC! 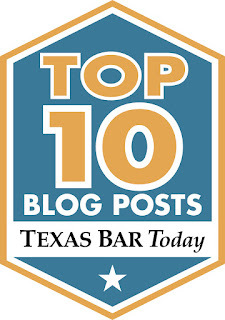 Another default rule under Texas LLC law that might come as a surprise to LLC members is that members may take action informally without a meeting, such as by a series of phone calls or e-mails, rather than at a formal meeting of the members (See Sections 101.358 and 101.359 of the TBOC). In fact, Section 101.359(2)(A) of the TBOC provides that a member may be deemed to have consented to a company action if the member knew about it but failed to object to the action in a timely manner. Professor Miller reminds us that the default LLC rules can generally be modified by contrary provisions in an LLCs company agreement. Drafters of LLC company agreements can avoid surprises by being careful to address each default provision that is not consistent with the LLC members' wishes.